Bathing Beaches: Any beach from Montauk Beach to Sagg Main Beach (27-40). But probably best to choose a beach with life guards. Beware of rip tides. My favorite, Atlantic Beach in Amagansett. Long Distance Swimming (Triathlon training): Long Beach (1), Maidstone Park Beach (8), Sammy’s beach (7), Gin Beach (21) and others. Surfing Beaches: Ditch Plains (26). Paddle Surfing: Inlets and bays for example near Cedar Point Park (6), Northwest Landing (4), 3 Mile Harbor near Maidstone Park (8) and Sammy’s Beach (7), Accabonac Harbor near Gerard Drive (11), Napeague Harbor (17), Oyster Pond (22). Kite surfing Napeague Harbor (17). Bathing Beaches for small children If you want calm and shallow waters choose a bay beach. Maidstone Park (8), Louse Point (12), Gin Beach (21), Barnes Landing (13), Albert’s Landing (14) and Abraham’s Landing (15) Beaches. Maidstone Park and Gin Beaches usually have life guards. Diving Beach Culloden Point (20). Fishing North Road Beaches (23), Camp Hero (24), Long Beach (1). Shells Cedar Point (6), Maidstone Park (8), and many others. Sea Glass Mile Hill Road (5), Main Beach West (37), and many others. Stones and rocks Cedar Point (6), Maidstone Park (8), Lion Head (9), and many others. Driftwood Kings Point (10), Hither Hills (18), Camp Hero (24), Amsterdam (25) and many others. Nature walks Barcelona Neck (3), Mile Hill Road (5), Cedar Point (6), Gin Beach (21), Oyster Pond and Shagwong Point (22), North Road Beaches (23), Camp Hero (24) and Amsterdam Beach (25). Family Outings and Picnics Barnes Landing (13), Albert’s Landing (14) and Abraham’s Landing (15) Beaches, Gin Beach (21), Navy Road Beaches near Ecker Memorial Park and Fishing Pier (19), Camp Hero (24), Maidstone Park (8), Cedar Point Park (6), and many more. Dog friendly This is tricky and depends on the season. Best to stay away from bathing beaches, specially between 9AM and 6PM. In the winter you can take your dog to any beach. 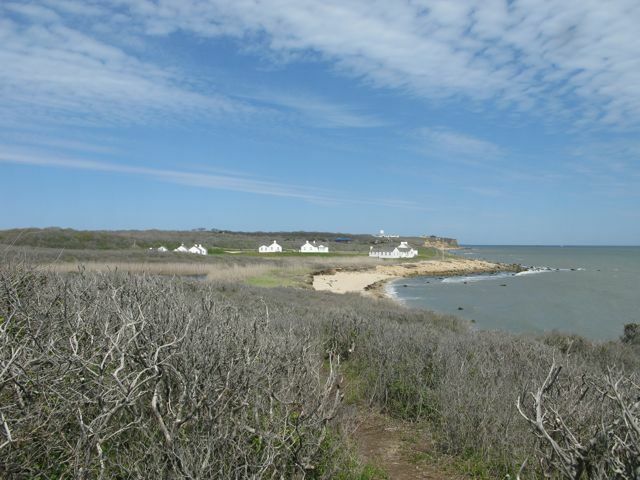 In the summer I avoid Haven’s beach (2) in Sag Harbor, Montauk Main Beach (27) and Montauk to Gurney’s Inn (28). Most spectacular It is subjective, but I would say: Camp Hero (24), Amsterdam (25), Oyster Pond and Shagwong Point (22), North Road Beaches (23), Hither Hills Bay Beaches (18), and then all the rest! The numbers in brackets refer to the map.